Here you can find a collection of drawings of tram networks from Constanta. They're drawn based on the aerial and satellite imagery present in the Wikimapia site. Trams are no longer running in Constanta. During November 2008 the only line left was 101. 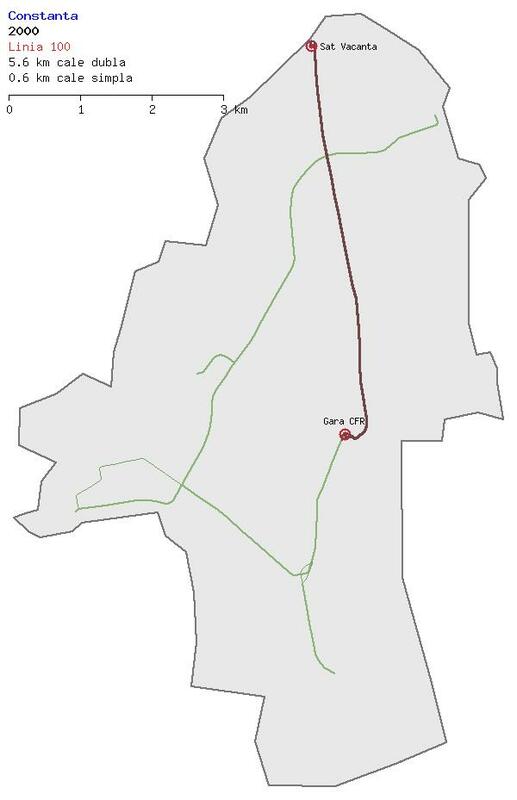 Active network: 6.9 km equivalent (4.1 km double track, 1.6 km double track used one-way, 2.4 km single track). 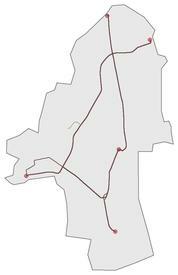 Inactive network: 15.1 km equivalent (14.6 km double track, 1.0 km single track). 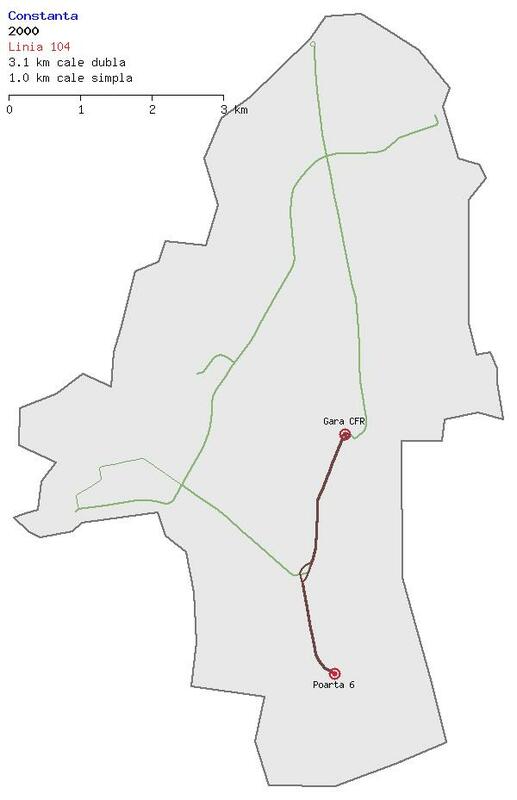 Total network: 22.0 km equivalent (20.3 km double track, 3.4 km single track). 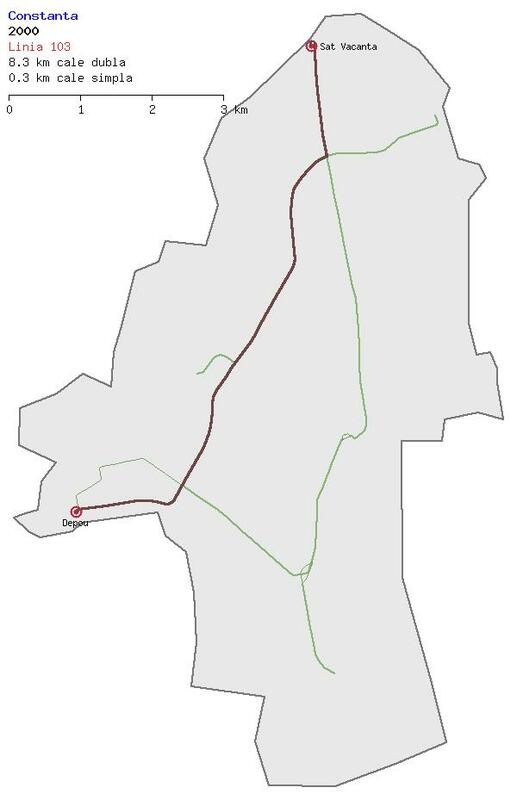 Situation between April 2004 (line 100 closure) and Octomber 2008 (line 102 closure). Active network: 13.9 km equivalent (12.7 km double track, 2.4 km single track). Inactive network: 8.1 km equivalent (7.6 km double track, 1.0 km single track). Routes: 101(6.1 km), 102(8.6 km). 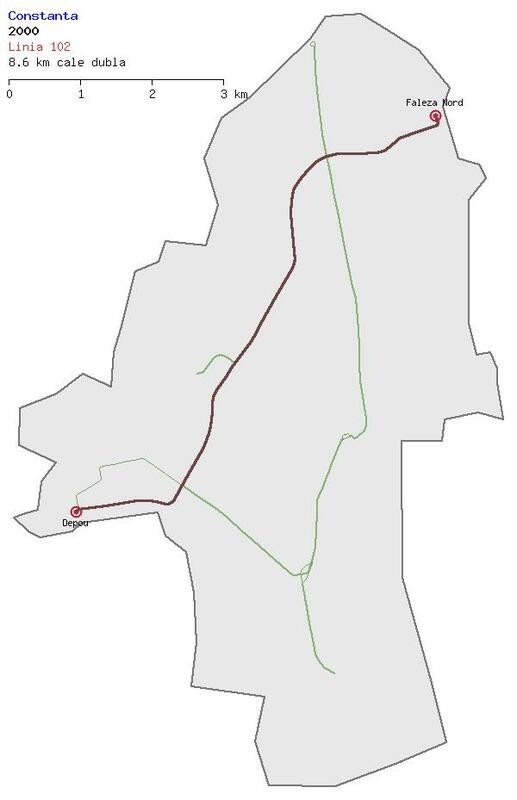 Active network: 21.3 km equivalent (19.6 km double track, 3.4 km single track). Inactive network: 0.7 km double track. Routes: 100(5.9 km), 101(6.1 km), 102(8.6 km), 103(8.4 km), 104(3.6 km).